CNS Canada — Grain companies in Western Canada are bracing for another high-volume year, as questions about the system’s ability to handle that amount continue to plague the industry. Wade Sobkowich, executive director of the Western Grain Elevator Association, said despite the heat stress that has hit many crops this year, grain companies expect this year’s overall crop to be roughly equivalent to those of the past two years, when shipping backlogs were an issue. “There’s been a lot of heat stress but we’re still seeing a crop size that is going to be somewhere in the neighbourhood of 70 million tonnes, 71 million tonnes. So, it’s still a very sizable crop in Western Canada. He said it remains to be seen whether provisions in the new Transportation Modernization Act (formerly Bill C-49) will benefit shippers. Some of the provisions in the act will be in place, Sobkowich said. Those include long-haul interswitching, requirements for railways to file reports on winter grain movement and changes to the maximum revenue entitlement (MRE), which sets down a pricing structure that railways can charge to carry grain. However, a key aspect of the transportation regulatory changes made this spring — the provision that allows for reciprocal penalties for service failures — will not be available this crop year. That’s because a lengthy process is needed to establish what service contracts should look like and what the penalties should be. “That’s something we hope will be in place for the 2019–20 crop year,” Sobkowich said. Both national railways have announced capital spending programs designed to help avoid a repeat of the recent grain backlogs. Sobkowich said it’s difficult to say what effect those changes will have until the busy shipping season arrives. 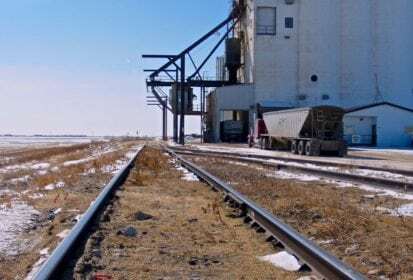 World demand for Canadian grain, pulses and oilseeds runs in earnest from mid-September to April — and that’s when when railway performance will be judged, he said. Global trade disruptions this year could make the situation less predictable for grain companies trying to assess market risks, he said, but grain movement is fairly stable. Sobkowich said the premium markets will remain off the West Coast and grain shippers will still use terminals there as much as possible. Most grain shipper members of the WGEA have signed onto shipping programs with one of the railways, he said, but only because they see it as better than having no agreement at all. Over the long term, they want reciprocal agreements with service standards and penalties, he said. As well, the WGEA would like railway grain service plans filed with the federal government to be based on actual car delivery targets, not maximums. The railways have promised a maximum of 5,500 cars per week until the weather gets cold, then a maximum of 4,000 cars per week. Sobkowich said he’d rather see minimum guarantees from the railways with the expectation they would then strive to beat those numbers. This summer, Canadian National Railway (CN) budgeted $3.5 billion in capital spending to upgrade its locomotive fleet, rail cars and improve track. Canadian Pacific Railway (CP) promised to have 15 per cent more locomotives available to haul grain this autumn and is investing $500 million on new grain cars. It hoped to have 500 in place for this crop year.